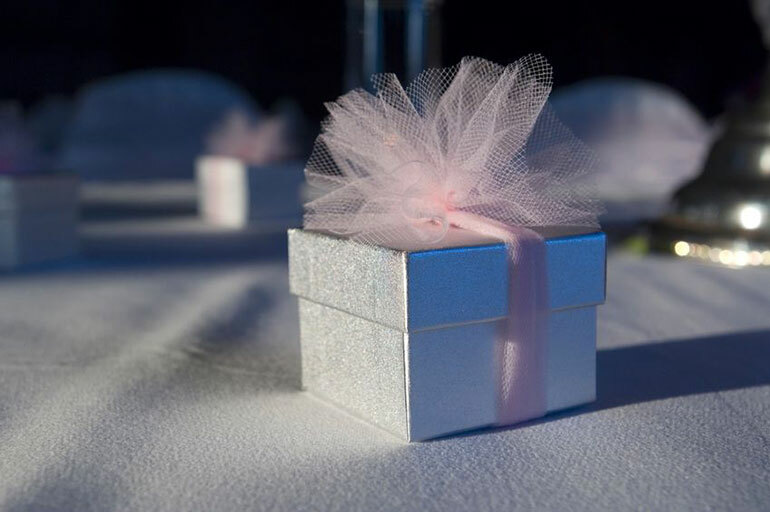 Favours are a wedding essential these days, rewarding guests across the country for travelling to your nuptials. In fact, they're now so common that it's hard to make your thank you special. That is, unless you spend the time making something unique for your guests. These aren't just any old coasters. Make the most of your Instagram account, get creative with your DSLR, or dig through your old albums to produce a range of wedding coasters that mark your guests' seats with memories, let them know how special they are, and also stop them staining the table cloth with red wine. You can get your coasters printed at most online photo stores, including Snapfish, Tesco Photo, PhotoBox, Printerpix and Printster. Succulents (like cacti, without the spikes) have slowly been gaining traction as a trendy wedding favour, often potted up in a vintage teacup or a little bucket. The problem is transporting them home. If guests have come from far and wide to experience your special day, their succulent might not survive the journey home. That's why jars are so good: bed the plant in properly, stick a lid on it and you're guaranteed your plant will get home safely. Since it's protected inside the jar, you can even get creative with the plants you use and make more delicate creations like terrariums. Those might not survive a plane ride, though. Whether it's a vat of home brewed ale decanted into fancy bottles with custom printed labels, or some lethal moonshine ladled into sharpie-marked jars, it's the thought that counts. That and giving your guests some hair of the dog for the morning after. Of course, if your event's more of a family friendly affair, you could always produce your own fizzy pop. Home made lemonade is easy enough to make in large batches, and if you can get hold of some authentic, old-timey glass bottles to serve it in, it looks fantastic. Mixtapes are back in a big way, so why not give your guests the official sound track (OST) to your wedding? Printable CDs make it easy to build a custom look for your presentation productions, and you can show your design flair too by drawing up a snazzy sleeve. A more flexible, and compact, option is to simply put the tracks on a USB memory stick. Then, if you really want to go the extra mile to say thank you to your guest, you can add a personalised video message too. If you've been planning the wedding meticulously, but your budgeting software is telling you you're close to the limit, this is the wedding favour for you. Homemade fudge is about the simplest thing you'll ever bake. Simply heat milk, sugar and butter, boil for 15 minutes, add some vanilla, stir to thicken, and set in a tin. Cut it into chunks, wrap it in cellophane and tie on a bow: et voila - cheap, tasty favours. You can make your fudge even more unique with a seasonal twist. Swap vanilla for mint in spring, strawberries in summer, currants in autumn, or cinnamon in winter. Or you could wow your guests with your own creations, it's your call!